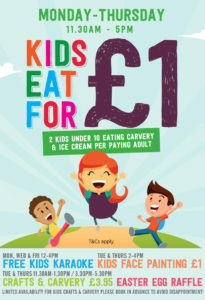 Children 10 years and under can eat for £1 each. A two course carvery. From 15th to 24th of February 2019. 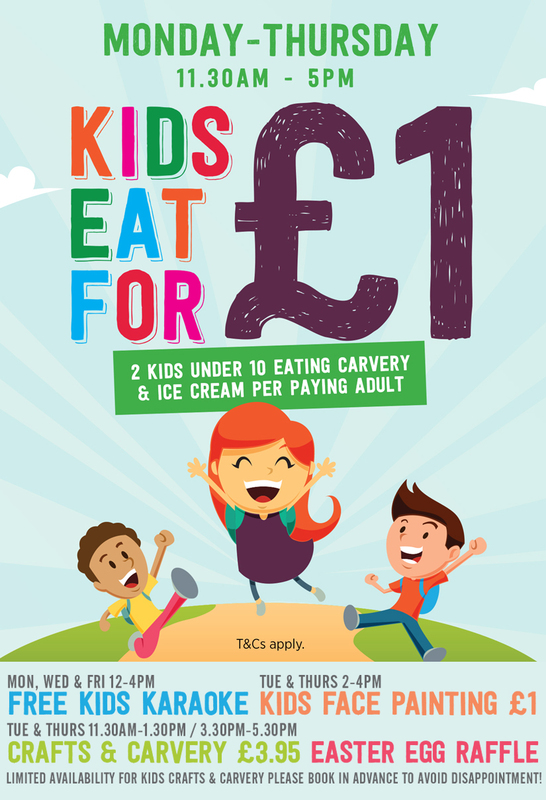 Valid for up to 2 children per paying adult. Additional children charged at normal price. YOUR KIDS’ PARTY ALL WRAPPED UP! Fuss over your little ones with the ultimate kids’ karaoke and disco birthday party – fun, food and good times, all under one roof! Choose from one of our fun-packed children’s birthday party packages, perfect for ages 6-14 and guaranteed to be an unforgettable experience. Prices start from only £6.95. Previous PostPrevious Open Mic Night! 26th April 2019 at The Koyla Kitchen. Lets See What You Got! 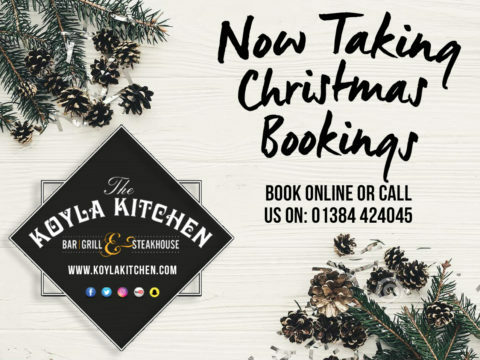 Christmas at The Koyla Kitchen! Book in advance only a few weeks to go! Karaoke Night at The Koyla Kitchen on Friday 25th January 2017! Lets hear you guys! 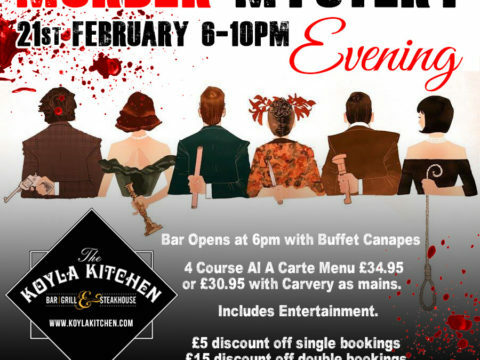 21st February it’s Murder Mystery Evening at The Koyla Kitchen 7pm till 10pm including Entertainment.